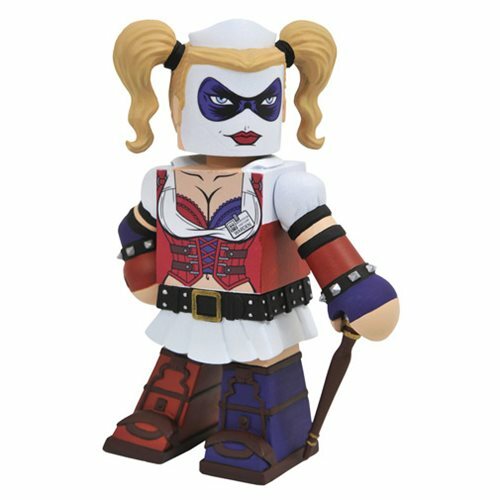 Ripped from the screen of the popular Arkham Asylum video game series comes the Harley Quinn Vinimate Vinyl Figure. The 4-inch tall Harley Quinn wears her distinctive Arkham Asylum outfit, and is striking a distinctive posefrom the game. The Arkham Asylum Harley Quinn Vinimate Vinyl Figure comes packaged in a full-color window box with game artwork. Ages 13 and up.